Barra, speaking in Washington on Tuesday: "We're continuing the dialogue." WASHINGTON -- General Motors CEO Mary Barra said the automaker is exploring opportunities with PSA Group , but declined to discuss a potential sale of its money-losing European Opel unit. 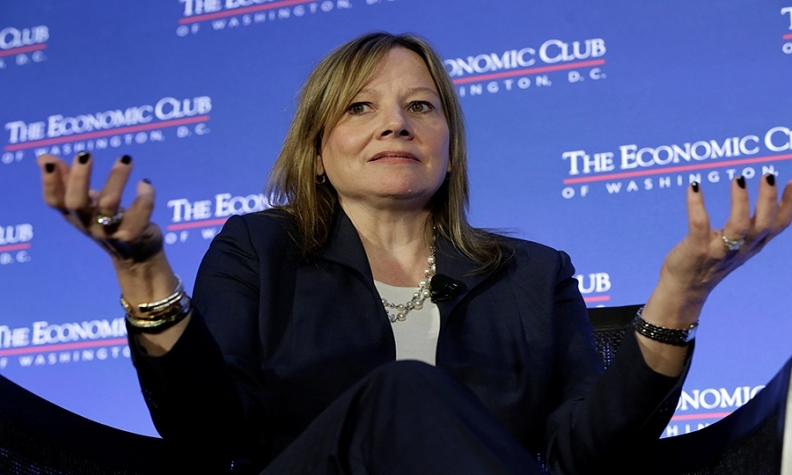 Barra, speaking Tuesday at the Economic Club of Washington, did not address in detail the talks with PSA that became public two weeks ago and refused to say when the largest U.S. automaker might decide whether to sell Opel, which has lost money for 16 straight years, to PSA. "We've done a lot to improve the business but we're exploring opportunities to see if we can accelerate that even more because scale does matter in this business," she said. "We're continuing the dialogue." Barra also said that the automaker backs corporate tax reform, but raised concerns about a Republican "border adjustment" tax proposal. "If not done very thoughtfully it could be problematic," she said, saying tax reform needs to avoid "unintended consequences." The planned border adjustment tax would impose a 20 percent tax on imported goods while providing write-offs for goods that are exported. Some automakers have raised concerns about the tax, especially because all U.S.-built vehicles include a significant number of foreign-produced parts. Some reports in Europe have suggested GM could have a deal with PSA as early as next week, but Barra declined to discuss a timetable. PSA, the Paris-based maker of Peugeot and Citroen cars, and GM confirmed on Feb. 14 they were in talks over a PSA-Opel tie-up to create Europe's second-largest carmaker by sales after Volkswagen Group. Acquiring GM's Opel and Vauxhall brands would give PSA a 16.3 percent share of the European passenger car market, vaulting it ahead of French rival Renault. PSA and GM have tried before to combine their small cars in the failed centerpiece of a "global strategic alliance" unveiled in 2012, and rapidly scaled back to three shared projects from 40 initially considered. Last week, German magazine Der Spiegel reported GM told PSA it would only sell licenses for the manufacture of Opel cars to the French company if it agreed not to sell the vehicles in North America, Russia or China.